The question is a contention one within the business domain: Should fledging entrepreneurs and companies persist with traditional marketing or should they give more preference to new-age social media marketing? There is no easy answer as each entity or organization is different possessing discrete properties and operating under separate economic, technological, and social conditions. Traditional marketing is the tried and tested marketing technique relying on established selling methods like conversations, live presentations, television advertisements, newspaper commercials, brochures, and even email. Beginners who do not have an intensive online campaign or are in the process of developing one would do well to stick to traditional marketing initially. Meanwhile, beginners who are already well-versed with social media marketing ought to include traditional marketing to broaden their selling efforts. Social media marketing is a modern marketing phenomenon characterized by the extensive use of online resources such as Twitter, Facebook, Google Plus, LinkedIn, and other social networking portals. As hinted at earlier, this technique suits fledging enterprises that are social media savvy and conduct a robust online marketing operation. Entities that have just commenced operations usually have limited monetary resources or are under a tight budget. 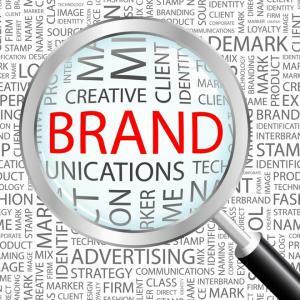 Traditional marketing is a dearer proposition as opposed to social media marketing; costs incurred on television, print media, billboard, and radio advertising can collectively run into several hundred dollars. Therefore traditional marketing should only be adopted if beginners are well funded or have auxiliary financing options. Social media marketing entails a lower day-to-day cost because a majority of social media portals do not charge usage fees although admittedly a lot of time is expended on the job. Thus this is the preferred means of selling for beginners. Moreover, the money saved can be utilized for other pressing organizational needs. Arguably, nascent enterprises need to interact with potential customers on a more intimate basis to earn goodwill and an instant rapport. Traditional marketing serves the purpose admirably in this regard as personal and face-to-face interactions like events, conferences, and meetings can lure customers in a better manner towards beginners' products and services. Social media marketing does not enjoy the same intimate connection as both the seller and the buyer function in an online domain with their physical identities hidden from each other. Yet, beginners using social media marketing are advised to employ effective audio-visual aids to supplement their selling efforts and offset the adverse effects of non-personal marketing. Some analysts, however, point out that social media marketing generates more community spirit and collective thinking and thus is superior to traditional marketing on a different intimacy plane. Beginners ought to conduct a thorough evaluation of their customers to discern their profiles and predominant preferences. Not only will this exercise elicit valuable insights but it will also determine which marketing technique to adopt. If the customer profile is indeterminate or varied, beginners should employ traditional marketing as this technique reaches out to all sections of society regardless of age, gender, and economic status. On the other hand, if research reveals that most customers are young, erudite, and active users of the internet then social media marketing should be adopted. Existing environmental, governmental, and social conditions play a big role in deciding which method to adopt. If new companies are given a free rein to conduct all their operations smoothly then beginners are free to adopt the marketing method they deem expedient. If however, for instance, the government imposes curbs on the usage of the internet or places restrictions on television advertising then beginners would need to alter their marketing strategies accordingly. Whatever the choice, remember that the ultimate purpose is to attract potential buyers and draw attention to the beginners' products and services. This is a guest post by Dazzle Rogers of workwelltogether.com, a site that offers savings and current information on comcast cable and internet, as well as other comcast bundled services. There are lessons to be learned in many parts of your life, but when was the last time you looked downward at the small line of ants trailing across the ground and thought that there was a lesson there in SEO? Ants are incredibly hard workers and run their colony in a very distinct manner. In this are a number of lessons that SEO teams can learn from and put into practice. Here are 6 techniques you can learn from ants to help give your SEO strategy the boost that it needs. 1. Commit yourself to the work - Ants are hard workers. Regardless of what their role is in their colony, they commit themselves to work hard to fulfil their duties and help their fellow colony mates survive. For your SEO strategy to survive, you must be just as hard working and committed as ants are to helping your business. 2. Make it simple to understand - In an ant colony, every ant plays an important role in helping their fellow colony mates achieve a specific goal. To do this, each role is designated and a map is defined with all of the key components making it simple for any ant to know where they must go and what their role is in the colony to succeed. As an SEO technique you should also make navigating your website simple and straight forward. To do this, submit your site map to the search engines so that they have a clear overview of which pages they should index and what their users will benefit most from. 3. Leave trails to gain more traffic - Ants leave trails as they walk to and from their colonies to help guide them and their fellow colony mates back to safety. Online, humans leave trails through blog posts, comments, social media networks and other places that serve as a trail back to a specific business website. These trails can help people, just as they help the ants, go in the direction of the websites of products and services they can trust. When these trails are left around the internet, traffic increases naturally and search engines can see that the trail that has been left is one that can be trusted helping improve SEO efforts. 4. Use your colony of customers to carry your business - Ants have been seen carrying leaves and other insects far bigger than themselves back to the colony. This team of ants come together to bear something larger than themselves on their back. Your customers can do the same and help carry your website to success. Ask your customers for referrals and you in turn will help drive more traffic giving your SEO a boost by generating more traffic. 5. Plan ahead like an ant - Ants are constantly planning ahead for the future and creating contingency plans if their chemical trail is somehow erased or something happens to their well-oiled colony plan. With constant algorithm updates from search engines, SEO gurus must do the same. Plan ahead for any changes that you anticipate could impact your website and be ready to make the necessary changes so that your site is minimally impacted and your business can still remain on the top of the search engine results. 6. Take pride in your work - Perhaps the most important lesson ants teach us about SEO and all types of work is their attention to detail and understanding of the reliance put on them by others in their colony. Your boss and other departments in your company count on your ability to keep the website ranking high up in the search engines. 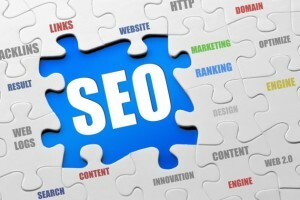 This is not a task that should be taken lightly and instead, you should use this trust that your team has put in you to be diligent and mindful about the quality of SEO techniques you are using. Just like a colony of ants, you want to hand over your best work each and every time. Ants have been around for centuries and offer many lessons to help improve the way we conduct our own business. By learning from these hard working creatures, you can improve your SEO strategy and continue to rank high on search engines. About The Author: Patrick Del Rosario is part of the team behind Open Colleges. Patrick enjoys blogging, travelling, and photography. Patrick together with his father runs a Photo Studio in the Philippines. If you have a blog and would like free content, you can find him on Google+. Did you like this article? Please let Patrick and myself know by leaving us your valued comments below. 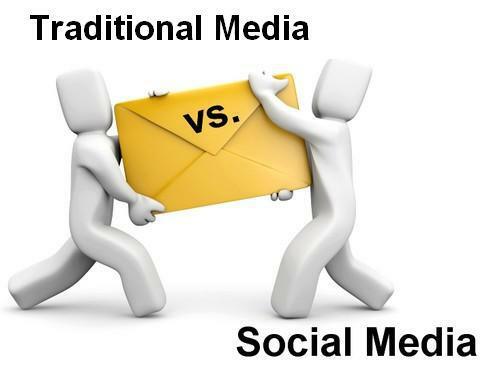 Until my next post on Wednesday on traditional marketing vs. social media marketing for beginners, have a great and productive week! There's no question to the fact that social media is one of the most powerful tools that any online marketer could take advantage of, especially if he or she wants to make a substantial impact in the market. With the cut-throat competition getting tougher and tougher, social media plays a significant and practical role in marketing your business, no matter how small or big it may be. The key to a successful social media campaign is reaching out to as many influence customers as possible. How do you do this? Here are some of the best tips that you could try out. When you have a clear vision of the niche market that you wish to target, you will achieve a clear sense of understanding of who your customers are, what they want, and what makes them think that you are really up to offering them the best experience. Ameena Falchetto, who runs an online branding and marketing consultancy, writes that picking a niche market does not aim to target everyone. If you want your social media presence to be felt by everyone in your sphere, then, target the people who are most likely to become your prospective clients. How do you make a post that's worth liking, sharing, retweeting, or pinning? It all starts when you listen and learn on what your prospective clients really want. Spend some time reading other people's posts, tweets, and blogs. This will help you get a gist on what runs in the mind of your prospects. The more you understand them, the more you'll be effective in reaching out to them. A social media campaign does not achieve success overnight. With so many well-established brands online, it's a tough act to rise above the competition. But it is possible when you dedicate a part of your day (at least ten minutes of it) to finding people who you think will help increase your network's strength and in return will get something worthwhile from you. Make a goal to add 10 followers a day, writes blogger Meghan Keaney Anderson, and stick to it. You'll be surprised to find out that you've already amassed a horde of followers who are interested in every post you make. No marketing strategy is complete without a social media campaign on the list. You should be sensible enough to lay out a specific plan to steer responsiveness from your prospective clients and, in the long run, engage them in rich interactions that will build your reputation as a trusted dealer, as well as establish your image as an expert in your niche. 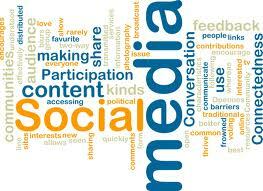 Why establish a social media campaign? It's because you want to establish a relationship with other people. That's why, it's a must to build up a strong interaction with your would-be clients. Get to know them, encourage them to ask questions and be snappy in answering their queries. Always make them feel that they matter most to you, and in return, they'll think of you as someone who's honest and trustworthy. Building connections with people through social media does not come easily. That's why if you want to achieve success and prominence in the social media sphere, what you need is hard work and intelligence to hit success. About The Author: Manilyn Moreno is the Online Marketing and Content Manager for Better Cater. She writes for the company about catering and event planning and shares her writings through various social media platforms to reach out to more people. Did you find this article helpful? Please let Manilyn and myself know by leaving us your valued comments below. Until my next post on Monday, have a relaxing weekend! Search engine optimization (SEO) is just one of many ways that businesses and individuals use to gain authority and rank high on search engines when specific keywords are used. Business consultants are typically brought in on the SEO process and will need to know some important aspects of SEO creation and implementation. Here are some things you will need to know as a business consultant when it comes to SEO practices. The first step in creating any kind of content is to know the basic keywords your client wants. Once those keywords are determined, knowing exactly what type of content will work best is a high priority. Successful businesses will always want to inform their customers, not just provide them a sales pitch. With the Internet, your client's target audience has the choice in avoiding these blatant ads and search engines can easily mark that type of content as spam. Keywords should be the topic and appear in the content, but not so much that it takes away from the overall message. Once you know the type of content that needs to be created, it is important to understand the steps in creating it for your client. The first few pieces will help you determine what type of information works and what does not. This will help you to continually refine content for any company. For your client to see real results from SEO content, you will need to help them appear as an authority in their field. Whether it is engineering, medicine or real estate, the content put out in your client's name should provide accurate and usable information for the target audience. It does not help your client when you are providing them with content that is too simple or too complex. It is good to aim for the middle of this spectrum, because most clients will have a target audience that already has a basic understanding of the subject at hand. Great content for SEO implementation is only half the battle. The other half of the battle is getting that content in front of the target audience. There is a seemingly endless number of options when it comes to promotion online, but if you aren't attracting the right audience, you and your client will not see results. For example, if you are working on SEO content for a client who owns a hunting and fishing business, you will want to find publications and websites that cater to this audience. There is no reason to get your content on a parenting blog or financial website, because you are not providing the audience with information they are looking for. These are the areas that any good business consultant will focus on when it comes to implementing SEO for their clients. Understanding what the target audience expects from your client and finding the right channels to promotion that content will lead you and your clients to success every time. This has been a guest post from Naked Business Consulting, a group of business consultants specialising in capital raising. 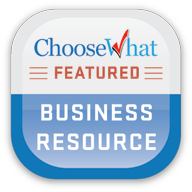 If you'd like to now more about business consulting and how it interacts with internet marketing, head to their site. Until my next post on Friday with tips on reaching out to more social media users, enjoy the rest of the week! Your first question may be, is social media really replacing traditional customer service? The word "Replacing" may be a little misleading. Social media is being used by some companies to plug the gaps in their current customer-service service. The more foolish companies are removing money from their traditional customer service in order to fund their social media customer service - this is foolish strategy since social media will never fully replace traditional customer service. It is not a prediction; it is just a common sense fact, just as how the Internet never fully replaced TV or how cell phones never fully replaced landline phones. What is traditional customer service? This involves phone lines, online customer service forms, email, visiting in person, mail, fax, online instant messages (IM) and online conferences. They are means through which the customer may go about communicating with a company without using social media. What are the benefits of traditional customer service? Contacting a company by phone gives you a very quick response to your queries. Phoning a company is a good way of demanding quicker answers and allows you to voice your concerns and questions with the company. Online customer service forms make communicating a question or problem very easy, and leave the responsibly of re-contacting the user something for the company to consider and deal with. Email is a very convenient form method of communicating because it can be done at any time of the day and again leaves the resolution of the problem in the hands of the company. Visiting in person will get you your answers in a far swifter fashion since companies do not like to keep people on their premises for too long if they are not spending any money. Mail and fax are older method of communicating with a company but often elicit a positive response. IM is a very effective and non-intrusive way of finding solutions to a problem, and allow the user the inconvenience of speaking on a phone, video or in person. 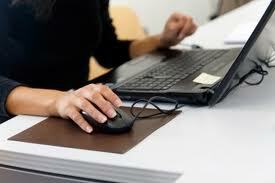 Online conferences are very close to meeting in person and will often elicit a faster response. The person on the other end of the conference tool will usually be more diligent in their answer to your queries as they feel that they are more directly responsible for you and your problem (they are more engaged with the user). What are the flaws of traditional customer service? Calling a company can only be done at a certain time of the day and requires staff. The consumer is often very angry if they are put on hold, and the company's reputation will suffer as a result. Online customer service forms can be ignored, as can emails. Visiting in person is inconvenient and it only takes one rude receptionist to illicit an angry response from a customer. Mail is a very slow way to get a response and fax machines are almost extinct in the modern world. IM can be frustrating when the other user does not understand what you are putting into words. Conference calls are a very good way to create misunderstandings online. How can social media plug the flaws in traditional customer service? Surveys on social media are a good way of finding out how good your customer service is. Social media customer service combines IM with email and online customer service forms, except that other people are able to view the queries and answer to questions. It turns customer service into one big FAQ section. The historic conversations are going to answer the questions of many customers, which means they will not have to contact customer service themselves. What are the benefits of installing a customer service function within social media? Just like IM, social media is able to offer swift resolution to customer's query whilst also being convenient at the same time. It is convenient for people who frequently use social media since they will have access to their answers at a faster rate, as they are likely to check their social media profiles on a regular basis. A social media customer service module may be manned by few people and yet still give productive results. It is also a function that is very easy and cheap to set up. The company will not have to invest in further phone lines or computer systems (and associated controls). About The Author: My name is Sonia Jackson. I represent the UK website royal-essays.com. We'll help you to solve all problems with writing different essays and research papers according to the rules in the UK. Did you like this article? Please let Sonia and myself know by leaving us your valued comments. In order to take their first steps with email marketing, all companies must take of three key areas: content, contacts and design. Without content you don't have a message, without contacts no-one to reach... and without design? 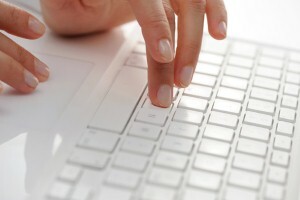 Without design, you lack the professional touch; which is the key to converting leads. Now, any company so much as approaching this marketing platform should have an idea of what they'd like to say. Newsletters can be packed with a combination of blogs, company updates, videos, images; whatever suits them. With who they'd like to reach it could be a certain type of consumer or business, although "the more the merrier" applies in most cases. With design it becomes a little more problematic, as this belongs to entirely different field - requiring an entirely different range of expertise. You can try getting your head around Photoshop for a couple of hours every day, tweaking thousands of filter dials until your mouse eventually gives up. Alternatively, you could take a short-cut around the design route and outsource your email marketing templates. Here's what's in it for you. Just think about all the time you could be spending on your brand messages while you're dragging yourself through editing tools, and for what? Just so you can say that your company made everything in the email newsletter when asked? People don't particularly mind about who designed the template, mainly because they view design on a subconscious level. The design entices them into the message which then becomes their main point of focus. Dedicate your man hours to the content and let the experts take care of the rest. Aside from all the time spent in their realms, have you checked the price of editing tools? Email marketing templates provide a cost effective solution for your company, often negotiated at a monthly rate. Rather than buying software and hiring specialist support, you can part with a fixed cost and get creating your messages right away. 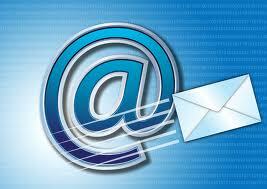 It is services like this that make email marketing such a cheap activity to maintain. With often hundreds of templates to choose from, you'll always be spoilt rotten when it comes to selecting the right template. These will then be able to feature any pictures, text and video you need to make your message complete. Not only this, companies with a bit of technical know-how can apply the custom touches to their email with a bespoke HTML editor tool - these are offered quite often to subscribers of a premium email marketing software package. While your competitors are enjoying a healthy return thanks to their professional templates, you could be left with a shrinking email list due to your amateur-looking messages making people decide they want to unsubscribe. People won't give your content a single thought unless they're inspired to read on. It's through professionally designed templates that people are drawn into not only reading through a message, but clicking on links to visit your site. Their mailboxes are flooded with email messages every day, so you should always be looking to make yours stand out. So, you've designed your very first template and an internal survey says it doesn't work. Then what? The best thing about investing in an email template service is you can turn such events into a learning curve, rather than a disaster. All you'll need to do is pick a new design for your message and send again. The other option is to spend more hours attempting to come up with a second attempt, only to find that your email list does not like that one either! About The Author: Stuart Wooster has been learning about digital marketing since 2007 and writes on behalf of Mailing Manager who provide email marketing templates. In his spare time he likes furthering his knowledge with personal projects. Did you find this article helpful? Please let Stuart and myself know by leaving us your valued comments. Until my next post on Monday on how social media is replacing traditional customer service, have a wonderful and relaxing weekend! 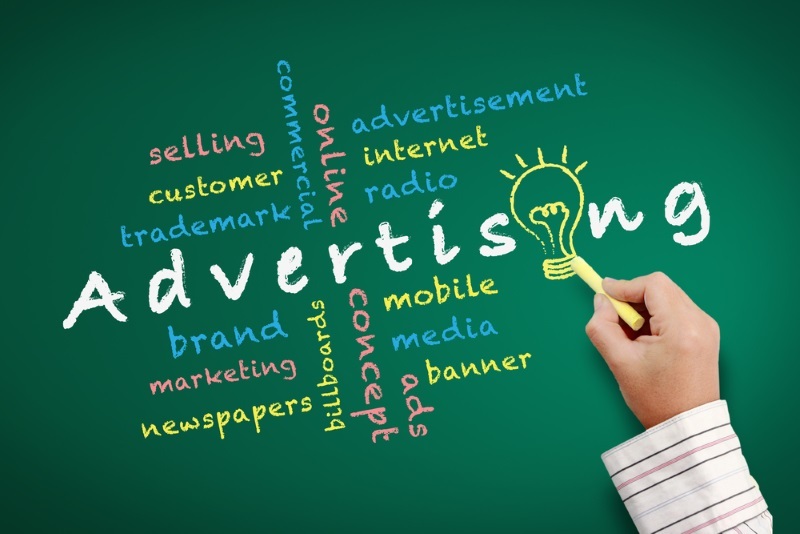 It goes without saying that every business must have an effective advertising campaign in order to draw customers and get them to buy their products or use their services. A good advertisement provides a satisfying answer to the important question: Why should the customer buy from you rather than from any one of the hundreds of other suppliers that are out there? Advertisement campaigns require great effort to keep them organized - for of what use is a disorganized advertisement campaign? As with everything in our lives, it takes a great deal of effort to put an advertising campaign together and not much effort to cause it to become disorderly - that seems to happen by itself. This article will give you some tips to make sure that the campaign stays in perfect order. An internal calendar to be checked by those who work within the organization. A campaign calendar on which a breakdown of the advertising schedule is given. Each of these three is made available only to certain people. The internal calendar, for instance, may be seen only by members of the advertising agency. Their purposes are also different: The internal calendar, whose purpose is to improve the advertising workflow and make the communication of deadlines smoother, contains ad specifications, media types and outlets, and traffic deadlines, as well as internal notes. The client-facing calendar records what types of media have been used and when the run dates occurred. The schedule breakdown calendar outlines the media schedule in greater detail than the client-facing one - the details it includes are specific to the type of placement for each media type. Thus, for ads that were broadcasts on the radio and television, this calendar gives information on the day parts and programs. Eventually you should have a complete campaign summary drawn up with the campaign criteria, the run dates, what media types will be used and of course the budget and how much of it is devoted to each medium. Amazing Advertising Tips: This app comes in the form of a "book" that is read on mobile phone. The tips that it gives are very valuable for the advertiser; among them are "Tell your audience what kind of support they'll get after they buy" and "Think of ways to get your site or business in the news." 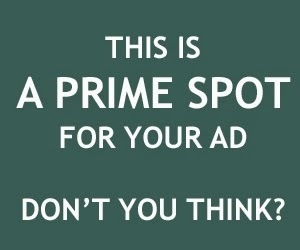 Nationwide Advertising: An especially valuable app that makes it possible to place ads in tens of thousands of newspapers all across the country. LocalSpin: Allows the user to get honest reviews from those in the local community, rather than from total strangers thousands of miles away. All the apps listed above are compatible with the iPad and iPhone, and all can be downloaded for free from http://appfinder.lisisoft.com/tag/mobile-advertising.html. Now that we have discussed the steps involved in organizing the campaign to begin with, we can get down to the subject of making sure that things remain that way. And that simply involves maintaining the effects of the processes outlined above. Thus, once you have your calendar set up, it becomes a matter of seeing that it is continually attended to-items must be continually added to it and deleted from it as soon as they are fulfilled, and the calendar must also be constantly checked to make sure that the schedule is being followed. About The Author: Alex Hudson is a technical advocate writing on a variety of topics including: property ID labels, product reviews, identification labels for tracking assets, and business decisions. Did you find this article helpful? Please let Alex and myself know by leaving us your valued comments. The most common mistake businesses make when using Twitter is to treat it like a one way conduit - a loud hailer through which information can be disseminated to followers. It's easy to forget that there are two parts to the social media concept. The "social" is just as important as the "media". Twitter is not the online equivalent of posting a flyer through a letterbox. It's all about conversations. Without engagement, few social media campaigns will succeed, and the secret to engagement is to start by listening. What is your market talking about? Once you know that, you can work out what can you bring to the party. Tip #1: Try searching Twitter for terms related to your industry. Follow at least a dozen of the most influential Twitter accounts and check the feed regularly. You'll soon get a feel for what people are talking about and retweeting. 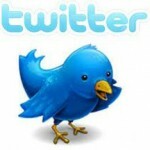 If you need a little help finding out who the big guns are, try entering the same terms on Tweetreach.com. 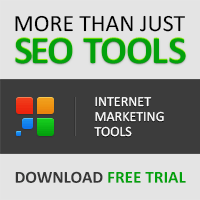 Plenty of other handy social search tools are available for free. Try Topsy.com and Icerocket.com to get started. Tip #2: Twitter plays host to specialized conversations marked out with hashtags. Some of these relate to offline events or webinars and others are scheduled, regular chat sessions. 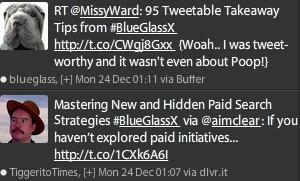 For example, the tweets above are hashtagged with the name of the conference to which they relate. If you attend an event and see an #eventname hashtag, use it! Tip #3: Particularly if you're in a B2B industry, using hashtags intelligently can be a great way to make friends and influence people. Don't just #hashtag #everything in your #tweets - take the time to seek out the right niches. Read and reply to other tweets that contain a hashtag of interest. You can also turn the idea of listening to your general market on its head and seek out individuals and organizations who are actively looking for help and advice. Look for the questions rather than the people. The way we find information is changing, slowly but surely. Let's say you want to find a reliable plumber in your city. Some people might search Google, but the results that come up will be businesses who have done some good local optimisation for the term "reliable plumber". The SEOs are smart people but as for the plumbers, who knows? 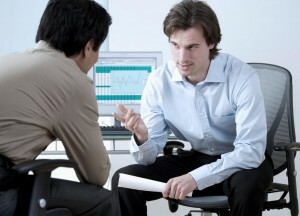 The solution is to ask people you know for a recommendation, and social networks are increasingly used for this purpose. You might tweet "Anyone know a good plumber in San Diego?" and opt to trust real people rather than trust a search engine. Tip #4: It's very easy to set up filters that catch relevant tweets. One way to do this is with TweetDeck - just add a new column with the search terms of your choice. The tweet above is an example from a simple searcher for "plumber" and a location term. Of course, not all tweets contain a geographical marker, but tools like Monitter.com will let you set a location and search radius independent of the search terms. This would, for our plumbing example, pick up tweets like the one above, in the right approximate area. In the main, Twitter is a public forum. There's nothing stopping a smart company from sending a prompt, helpful reply to that last tweet. Something like "Sure. One of our team could do that for you straight away" would be a good start, with a phone number to call. Tip #5: Although Twitter monitoring can be an easy way to pick up new customers directly, monitoring for questions can also be a great way to demonstrate a helpful attitude and build up authority. Our model plumbing company could provide advice to those tweeting about problems with blocked drains, for example. A quick search there reveals dozens of possibilities similar to the one above. When you start to monitor Twitter, the sad fact is that you'll see a lot of spam. Don't be put off, and don't follow bad examples. Seek out those relevant conversations, talk to people who need help and advice, and you'll soon distinguish your Twitter profile from poor quality rivals. Be helpful, be interesting, and remember to listen as well as speak. About The Author: Jess Spate is a digital marketing professional. She writes for Smash Hit Displays, makers of environmentally friendly trade show materials. Did you find this article helpful? Please let Jess and myself know by leaving us your valued comments. The Penguin algorithm update was released in May 2012, and sent shockwaves among the SEO community. Penguin was a the latest in a long line of major algo updates stretching back almost a decade to the "Florida" update in 2003, to the Panda update in 2011. The general principle of all Google updates is that they are there to improve the quality of the index, whilst at the same time making life more difficult for black hat webmaster's and SEOs, many of whom are looking to game the algorithm. Penguin came as a shock to many black hat SEO's - it enacted harsh penalties for web spam, such as over optimisation of anchor text, and most important of all - the crushing of many of the blog link networks that spammers had been using to rank since the early days. These blog link networks are the modern inheritor of the "link farm" and utilise linking between many low quality "spun" blog articles to create a link network, which then builds up fake Page Rank, and is then pointed to a site that wants to rank for a certain term. Bingo! Instant rankings. Or so it was. Penguin was the game changer for these spammers and their link networks. What Caused Penguin to Be Introduced? Many SEO's cite SEO industry leader Wil Reynold's post on SEOmoz 8 weeks before Penguin as the trigger for the whole process, though it was obviously in development a long time before then. In his blog post, titled "How Google Makes Liars Out of the Good Guys in SEO", Reynolds argued that Google simply wasn't up to scratch, and was making the white-hatter SEO's look stupid, by rewarding web spam in many competitive keywords niche's. Reynold's griped that he was: "...getting killed by a website who is just targeting tons of anchor text only links on GARBAGE sites and is KILLING my client in the rankings" He argued that Google was being hypocritical in asking for SEOs to stick to the "content, content, content" rule of SEO, then not rewarding the sites that used that tactic. 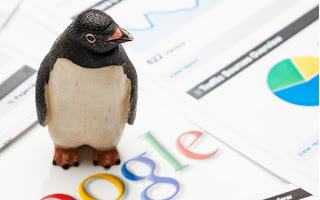 Google then responded with the Penguin update which answered many of the gripes that Reynolds had. There is a good side to all this. Although many black hat SEO tactics were punished in the Penguin update, many white-hat SEO's (myself included) were glad to see the update introduced - personally speaking, the vast majority of my page one rankings were largely unaffected by Penguin. I was glad to see Google finally clamping down on the spammers and levelling the playing field for the rest of us who are actually (largely) playing by the rules. Penguin worked for users too - many Google users reported a rise in quality and relevance of results following the Panda and Penguin updates. By that measure, it was a success. "[Penguin targets] unearned links - those that aren't naturally created as a result of doing #RCS (Real Company Stuff)"
"If my company had embraced #RCS (Real Company Stuff) a long time ago, we'd be in a much better spot today. We're now focused on tactics that create real relationships, real content, and real influence (you know, with people). IF we succeed, no matter how Google decides to measure authority and trust, we'll have it in spades." What Nathan is talking about is a point made by Matt Cutts many times in the past - that marketer's and SEO's should not follow the algorithm, but should follow what users look for - that is, great content - since that is what Google looks for, and has consistently over the years. The algorithm naturally follows users, so if SEO's follow users, then they can't go wrong! This is the real message from the Penguin Google update in 2012. About The Author: Armishaws Removals are one of the leading removals firms in Bath and the South West. They also specialise in European and worldwide removals. Did you like this article? Please let me know by leaving me your valued comments below. Cowboy Internet Marketers: Beware Of The Mighty Penguin! Until my next post on Monday, have a wonderful and relaxing weekend! Now that we are in 2013, I would like to take this opportunity to wish each and every one of you a Happy New Year. Hope 2013 brings you good health, joy, happiness and prosperity. All the very best for the year ahead. The first post of this year is by our regular guest author, Wayne Barker explaining how your business can cope with negative online reviews. I hope you find the post helpful and as always, don't forget to leave us your valued comments. In this technological age of social networking, not only is a public bad review seen by the business it's directed at, but it can also be seen by anyone and everyone with access to the internet. Worryingly, studies show that 4 out of 5 consumers changed their minds about a purchase after reading a negative review about it online. No longer can a company ignore a bad review and hope for the best, here in this article are some practical and pre-emptive steps to take when dealing with a less than complimentary review. Don't respond to a review unless you can fix the problems that are being raised, it's a fact that you just cannot please everyone so don't waste any time trying to. If you do have the power to improve the issue, offer an apology and a promise for an improved consuming experience for the aggravated customer as well as an assurance for all future customers that the issue will not arise again. 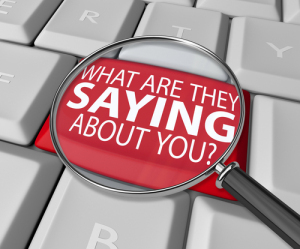 Be sure to avoid personal feelings when responding to a review, you are coming from the point of view of a business! There are thousands upon thousands of review websites on the internet, and if you understand how these review websites work, you can really use them to your advantage. Different sites allow you to interact with reviews in different ways. Some sites will let you respond to reviews, some will let you delete bad reviews and others may even let you edit reviews. 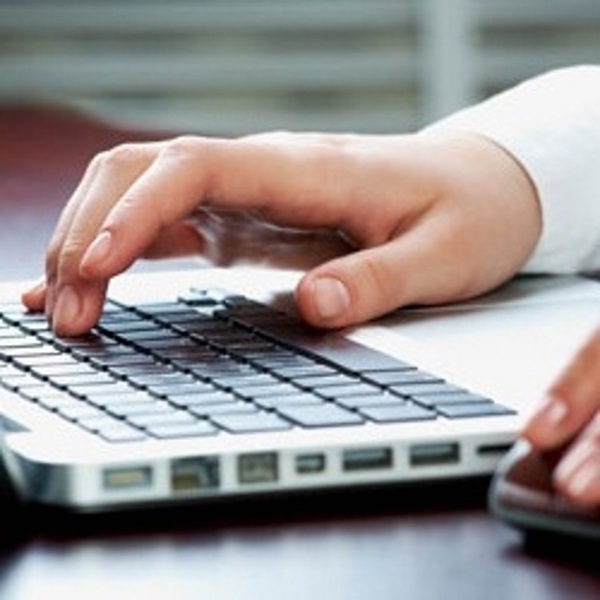 Spend some time researching popular review websites and get a good understanding how they work. Check them regularly for customers feedback and even check to see if you can be notified by email when you are mentioned in a review. Bad reviews are going to happen whether you like it or not but if you can manipulate your words and create constructive criticism, you can do yourself a lot of favours. It's vital to acknowledge that your customer is upset so don't brush that aside when responding to a bad review, but try and get the customer to see the story from your point of view as a professional. Not only will apology placate the customer making the complaint, but it will assure other potential customers that you listen to their feedback and work with it. Do not assume that a bad review won't be seen and that you can forget about it easily; the popularity of social networking means that negative publicity can spread like wildfire. The best way to control a bad review like this is to nip it in the bud before it gets heated; placate the upset customer with some calming words and hopefully calm down any hype that was building. Not only will you save yourself any misery but you might even gain some business from those whom respect your work ethic. This post was written by Wayne Barker for Hallmark Consumer - experts in e-fulfilment. See you back here on Friday with a new post!